A friend of mine reports for work at Target on Thanksgiving, 11:30 PM. They are ready with extra security. Only thirty people can enter the store at a time. There are even line judges, to prevent jumping. Oh, the humanity! Me, I will do my shopping right here in the very chair in which I am writing this post. Save your hippocampal glial cells damage from your overactive HPA axis! Save your toes! Internet! Oh, and because this year's flu shot missed, this week's blog post is a rerun, dedicated to the topic of shopping for, of all things, meaning. Last year I got an earlier start with my efforts to help you purchase the perfect Chanukah/Kwanzaa/Christmas present. Here are the links, one for your favorite loonie, the other your favorite normal. The first is even diagnosis specific. The most popular pick turned out to be a bluetooth phone for the one who talks back to his/her voices, but is trying to pass. This year, regular readers know that I have been living and breathing gingerbread. So this post, like my own shopping, comes late in the season -- Chanukah has passed us by. Internet. God bless the internet. And what with last week's post on happiness fresh in my mind, this year's holiday shopping picks combine the two issues -- where to get what makes for true happiness on the internet. No, really! Martin Seligman's Authentic Happiness identifies three major sources of happiness, pleasure, engagement and meaningfulness. So here are suggestions to enhance all three for your favorite loonie or normal. Let's address one issue first. Life circumstances, beyond having the essentials, are not really that important an influence on the measure of ones happiness. But poverty does matter. If the one you love lives in poverty, go to Amazon.com's gift card section, where you can find gift cards for clothing stores, restaurants, general retail, entertainment and more. Give us bread, but give us roses are lyrics of a working women's song from the early 20th century. It's nice, when you are poor, to have the opportunity to choose which is the higher priority this week. Well, yes. Feeling good makes you feel good. On the other hand, have you seen that bumper sticker, The one who dies with the most toys wins? That bumper sticker is an example of irony. I hope it is an example of irony. I am sure the person who came up with it meant it ironically. It is possible that the person on whose Lexus SUV you saw the bumper sticker might have missed the point. That would be sad. Irony means that the bumper sticker is not true. The one who dies with the most toys does not win. I just wanted to make that clear. Of the three top sources of happiness, pleasure, engagement and meaningfulness, pleasure ranks lowest on the list, happiness producing-wise. Our mindless pursuit of it notwithstanding. Nevertheless, perhaps the heart's desire of the person for whom you are shopping is toys. There are all kinds of toys out there. Almost all of them, you can find, again, at Amazon.com. I thought they were a book store. No, from Automotive to Watches, with books, electronics, movies and even musical instruments between. If you know what that heart's desire is, you can probably find it there. If you don't know what that heart's desire is -- are you noticing a theme developing here? -- gift card. Yes, I know. This reads like an infomercial for one particular corporate giant that is destroying local businesses across America. But give me a break. And give yourself a break. Your Chanukah presents are already late. Christmas and Kwanzaa are bearing down like a runaway train. I don't have time to look up a bunch of choices for you. I have my own shopping to do. Internet. Who am I kidding? I can't go into stores anyway unless medicated. Maybe you can relate. At least I have the Rx! Engagement means being absorbed in the here and now, whether in family, romance, work or hobbies. That being absorbed is the key, because the wandering mind is an unhappy mind. Gifts that bring the family together, or send your recipient out on a date or relate to his/her interests can enhance that person's happiness. And you can find just the gift or gift card at... what has evidently become the Shameless Commerce Division of Prozac Monologues. One kind of strength is passion. So let's start with a question. What is the passion of your gift recipient? I knew an old lady once who absolutely would not deal with that word passion. It's a wonder she reproduced. Like Queen Victoria, she probably closed her eyes and thought about England. Or, being American (and Episcopalian), she probably thought about The Book Of Common Prayer. So here is an alternative for Thelma, God rest her soul, and for you if you can't relate to the word passion. Determination. What is the determination of your gift recipient. What is he/she determined to support/challenge/change/make possible in the world? Now let's go shopping for meaning. Here is my passion/determination story. The Episcopal Diocese of Iowa has a companion relationship with the Diocese of Swaziland. Swaziland has had a drought for a decade or so. There are things that could be done. But the king has about a hundred wives, and he can't play favorites, can he? If one has a Mercedes Benz, then each have to have her own Mercedes Benz... So who can afford to dig wells? Well, heck. I'll buy two! Since we got the chlorinator, not one child died last year. Not one child died last year. I have never spent any amount of money that has ever given me and will forever give me as much happiness as those six words. 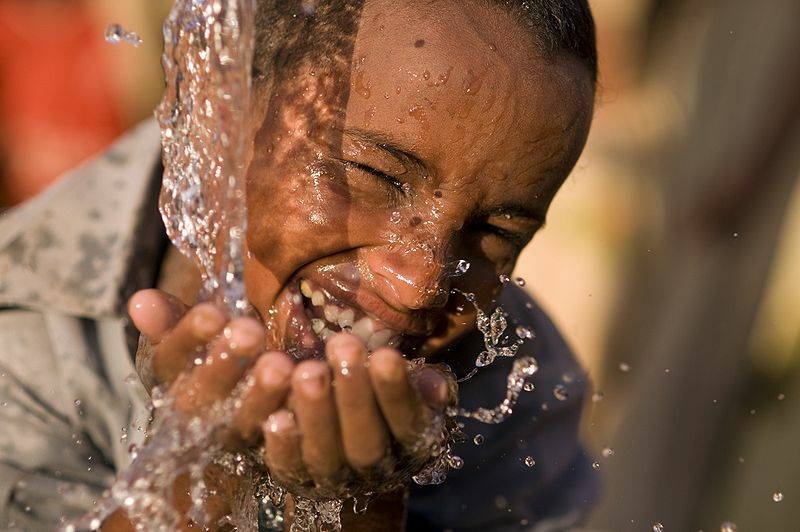 Give your mother or your father this story and clean water for a whole village in Africa right here. Now we are doing Haiti, too. As you noted the cost of our CPU WAS $150. The Lord has been good to us. We've been able to reduce the cost to $50. Assembly time went from 1 1/2 hours to 10 minutes and from 20 pieces to 6. Plus overall quality has improved. So that is how this year's holiday gift-giving guide is going to work, using one's personal strengths/passions/determinations to serve some larger end. So look again, more deeply this time at those pleasures. Do you have a friend who loves camping? 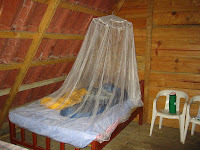 Insecticide treated mosquito nets are a bargain for $18.57, delivery included to places in Africa where one person dies of malaria every 30 seconds. How about a friend who bakes? High energy biscuits will feed young children in disaster sites, 600 for a mere $24.98, again, delivery included. You can find these and a whole assortment of Inspired Gifts for the health, water, nutrition, education and emergency needs of children around the world at unicef.org. How about a gift that keeps on giving? Heifer International provides livestock and training to improve nutrition and generate income, lifting families out of poverty. Recipients share the offspring with others in the community, multiplying the impact of each gift. So do you have a friend who wants a pet but is allergic? 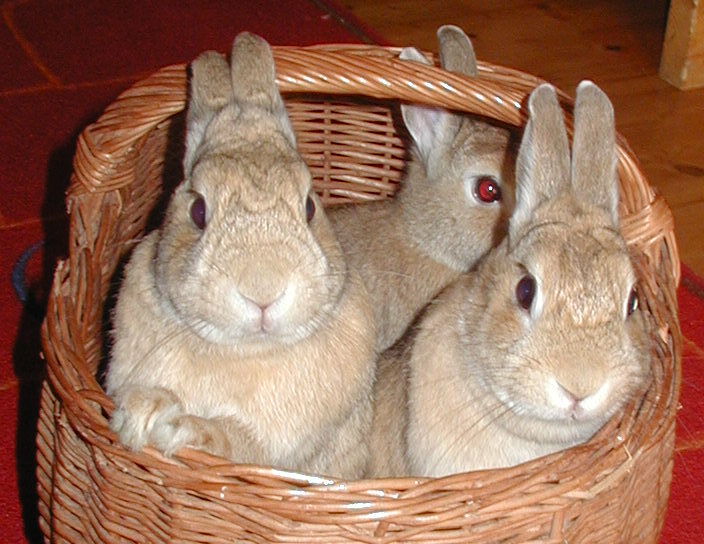 Three rabbits, $60. Aaahh, aren't they sweet?! We bought bunnies for China one year. Hunger has been wiped out in China. Heifer International has moved on to another country. Do you know a cowboy wannabe? One heifer, $500. We are just getting started. Knitters, a knitting basket (llama, alpaca, sheep, angora rabbit) -- $480. Gourmet, cheeses of the world (how cool is that! heifer, goat, sheep and water buffalo) -- $990. Homesick Iowan, pig -- $120. Let's not neglect our vegan friends, trees -- $60. If you are shopping for me, I have long had my eye on that water buffalo, a mere $250. All of these are available in shares, by the way, if that fits your budget better. Now let's return to where this series started and my life for that last two months, Habitat for Humanity, building affordable housing by using volunteers, including those who will own - and pay for - the houses. Whether your designated gift recipient is Martha Stewart or Frank Lloyd Wright, Habitat has its own gift catalog with everything from light switches to flooring. One year my sister-in-law gave me a kitchen sink. 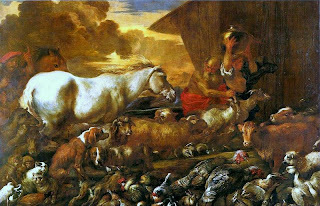 If I haven't hit a bulls eye yet, one.org is the meaningfulness equivalent of amazon.com. This one may appeal to the rockers in the crowd. Cofounded by Bono, Bob Geldof, et al, one.org created a partnership of all sorts of groups working to eliminate world poverty by 2015 -- the Millenium Development Goals. Here you will find more about one.org. Here you will find the partners (Bread for the World, Oxfam, Bill and Melinda Gates Foundation, various churches, etc.) Each one has its own focus, allowing you to find your perfect match. And since this is my blog, after all, I will put a word in for Episcopal Relief and Development, ER-D. When earthquake or hurricane strikes, ER-D listens to local people to determine how best to help. Then they stay with it after the cameras move on. For example, ER-D is still working on economic redevelopment in New Orleans. And this is one church organization you can support that will NOT ask potential recipients where they go to church. So there you have it. Without leaving the comfort of home, without even having to change out of your jammies, you can find the perfect gift, one that will give joy beyond the end of the year. GNU -- somehow seems appropriate, doncha think? Happiness is not just having big tons of money, a big house and a nice car. Happiness is waking up whit life that is enough. Many people live in materialistic world and we are created a materialistic generations.